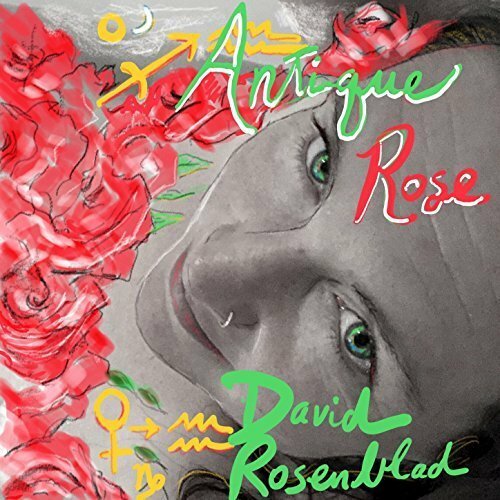 The singer-songwriter and composer for film known as David Rosenblad has released his latest single, “Antique Rose.” The piece represents the title track and second single from Rosenblad’s ongoing LP series of releases, “Antique Rose,” which began with his recent popular song, “Awakening Through Serendipity.” Both have been proudly published on his own Thirteenth Moon Studio independent record label without the direction of the corporate music industry. David Rosenblad cites some of his artistic influences as the Beatles, Peter Gabriel, Miles Davis, Coldplay, and John McLaughlin (Mahavishnu Orchestra), as well as composers Erik Satie and Karlheinz Stockhausen. While his own repertoire is too varied across styles and categories for a round summation, it serves to note that Rosenblad is an accomplished songwriter in areas including pop, rock, singer-songwriter music, and background scores for film and screen. 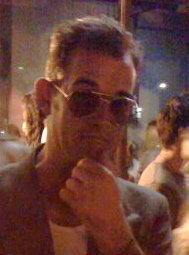 Additionally, music by David Rosenblad tends to share common thematic threads. Roses, astrological aspects, past lives and more are rolled into this love ballad. “If I have ever been incapable of expressing my true love for you in ways that make you happy, then I hope this song does. It is every layer of my being peeled away, leaving nothing but that love, the essence of what we are, through every word and note” (1 May 2018). The song is dedicated to Jean van Zyl. Austin’s David Rosenblad is a music producer, guitarist, multi-instrumentalist, singer-songwriter, sound designer and composer for film and TV, as well as a music (and yoga) teacher. He is the owner and operator of both DRM:Sir Reel Sound and Thirteenth Moon Studio. Rosenblad has collaborated or worked with such prominent artists as Sara Hickman, Chrysta Bell, David Newman, Dave Stringer, Blue Spirit Wheel, Herbie Mann, Everclear, Cheap Trick, Stevie Ray Vaughan, Bad Company, and scores of others. Besides traditional performances at concerts and parties, David Rosenblad also often performs at Unity churches and spiritual centers, as well as performing electro-acoustic interactive music for yoga and sound healing events. He has been a featured artist at Austin’s International Day of Yoga for several years, and will be playing guitar as part of a massive production of the Bernstein Mass summer 2018 as part of a worldwide celebration of Leonard Bernstein at 100. The “Antique Rose” single and ongoing series are available from over 600 quality digital music stores online worldwide now.